No Mimes Media is a collaboration between “[f]ormer 42Entertainment creatives Behnam Karbassi, Maureen McHugh and Steve Peters,” which will be based out of Los Angeles and Austin. The company bills itself as one that “produces engaging cross-platform narrative entertainment, popularly known as Alternate Reality Games (ARGs), to support a wide-range of projects including feature films, television, games and original content.” You may know the trio of Karbassi, McHugh and Peters for their work on large-scale ARGs like Why So Serious and Year Zero while under contract with 42Entertainment. 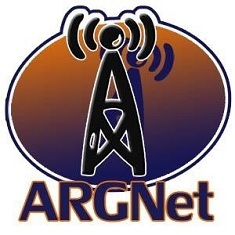 You may also know Steve Peters as the original owner of ARGNet (then ARGN). Needless to say, this is a very experienced, savvy group of creative designers, and it appears that they have hit the ground running, as they are already reaching out to project partners for opportunities. Perhaps by design, this announcement comes days before a panel scheduled at SXSW Interactive, entitled You’re Living in Your Own Private Branded Entertainment Experience. The panel includes Peters, who hints in the press release that the panel may be hijacked, commenting, “We’ll be announcing something that’s sort of an ARG wrapped in enigma wrapped in an ARG; and it’s not without controversy, let me tell you!” More controversial than a nearly naked man with temporary tattoos? Sounds juicy! Hopefully, we will have someone on hand to take in the panel and relate their experiences here in the days to come. Editor’s note: Article title revised after initial publication. I’d like to hear what the panel at SXSW was discussing with the context of “private branded experience” mentioned above, because I think it can be dangerous, but necessary for production, to commercialize some aspects of pervasive play. What do the players think about blatant branding, like a game out as advertising like the fox game, or for McDonalds?